In Tuesday's class, the arm and gripper development group presented two possible designs to the class for discussion. Watch for our video on March 15 to see which design we selected to build to put on the robot. 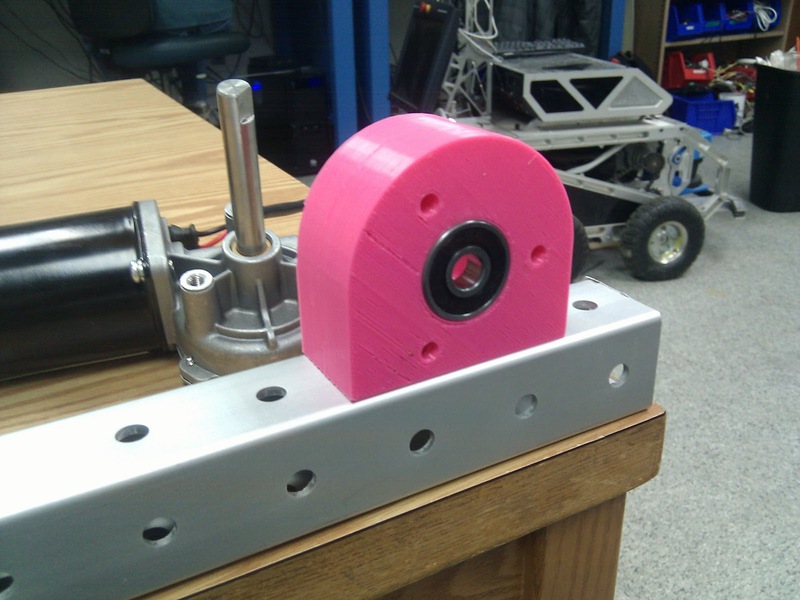 For the past few weeks we have been prototyping several different motor mounting options. Luckily we built a RepRap a few months ago which makes prototyping parts quick and easy. Here is one of the mount designs. The motors would mount inside the chassis rather than in the wheels. The bearing will relieve some of the stresses being placed on the motors from the weight of the robot. The encoders sit inside this block so that they are protected from the elements. We have ordered a set of these parts from the machine shop which should be here this week. We're waiting on our encoders in the mail, but should have fully functional quad-motor differential drive w/ velocity control this week. Should be rolling this weekend? As part of National Robotics Week, we will be holding an open house on Saturday, April 6 from 1-3pm at the NERVE Center, 1001 Pawtucket Boulevard, Lowell, MA. Our team will be at the open house to demonstrate our rover in the sand and gravel courses and to talk about the continued development of the system for the June competition. 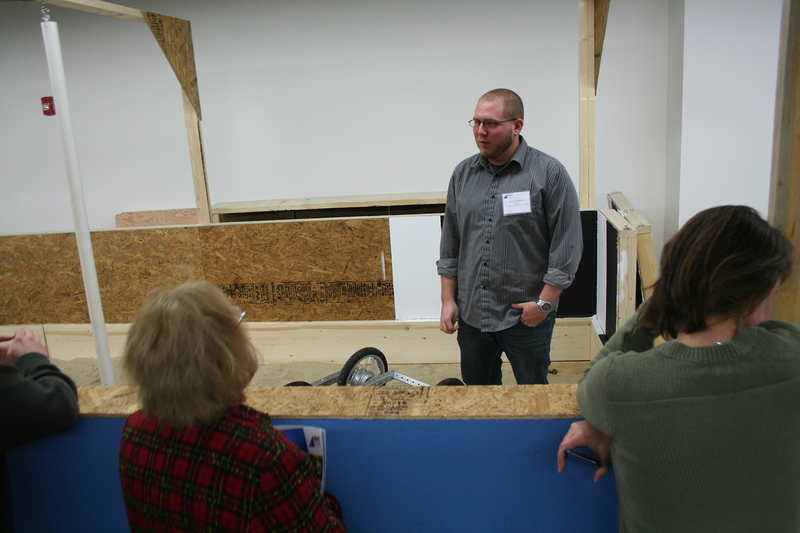 iRobot will also be at the open house, demonstrating their SUGV robot in the water areas of the NERVE Center. The event is free and open to the public. All ages are welcome! No registration is required. On Tuesday, February 12, the New England Validation and Experimentation (NERVE) Center at UMass Lowell had its grand opening. Over 250 people attended, including representatives from many local robot companies. Eight robot companies (Adept MobileRobtoics, Aldebaran, Applied Research Associates (ARA), Caliper ID, Harvest Automation, iRobot, QinetiQ, and VGo Communications) brought robots to demonstrate the NERVE Center's courses. Our Rover Hawks team participated in the event as well, talking about our entry in this year's RASC-AL Robo-Ops competition. Both are 8' x 24'. The sand is 10" deep, and the gravel is 5" deep. 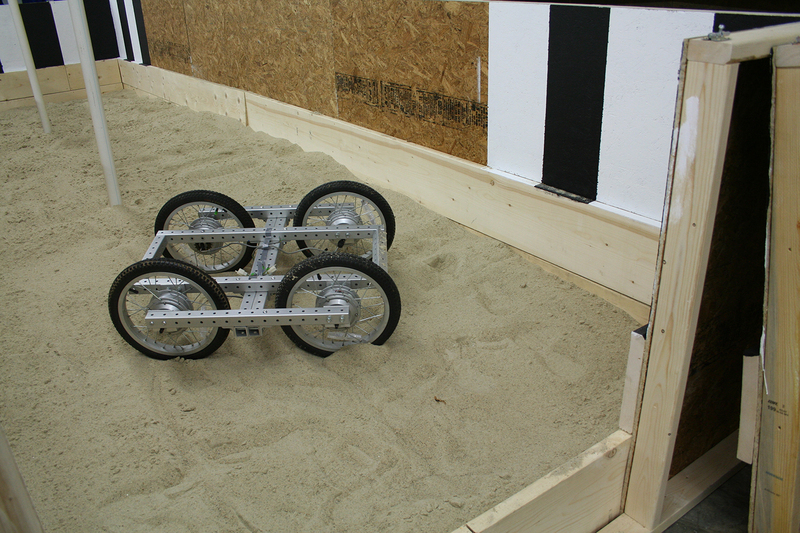 We're planning to put in some ramps under the sand as well as our spray painted rocks to test our rover. We've extended an offer to the WPI team to test in these areas as well. Our Motors and Motor Controllers Have Arrived! The motors are AME-218 windshield wiper motors. These motors will become part of the wheel assembly, hiding inside the wheels themselves. The motor controllers are Roboteqs model MDC2230C. They are compact, extremely light weight, and capable of driving two channels at 60A each. On Tuesday, 12 February, the New England Robotics Validation and Experimentation (NERVE) Center had its grand opening. As part of the press coverage for the event, I was interviewed by WBUR, Boston's NPR station. 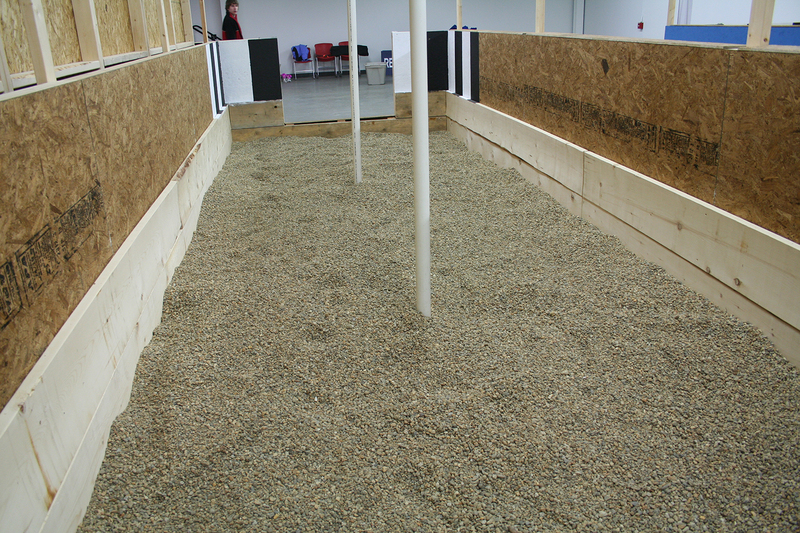 In this interview, I talked about the rover we're building for the RASC-AL Robo-Ops competition and how we will use the 8'x24' sand and gravel pits in the NERVE Center as part of our testing. While we did have a gripper design in the submitted proposal, we wanted the undergraduates in the course to try their hand at designing grippers. The course largely consists of Computer Science majors, with a few students who are majoring in Electrical and Computer Engineering and one student majoring in Mechanical Engineering. To make the task more approachable, students were told to use found or recycled materials for their grippers. Fortunately for everyone, the lab we work in has a wide range of random materials that can be used. 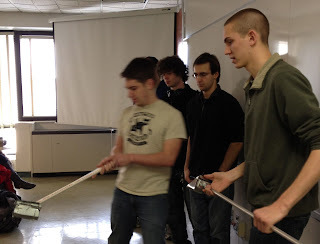 We are one of eight teams to be selected to build a robot for the 2013 NASA RASC-AL Robo-Ops Competition. Undergraduate students enrolled in Robotics I will be working with graduate students to build and program the rover, under the guidance of Prof. Holly Yanco. The UMass Lowell mascot is the River Hawk. We have named our Robo-Ops team the Rover Hawks in honor of our school's mascot.